2 So, what factors were involved on our quest to find the best aloe vera gel? Good aloe vera gel is hard to find. They all claim to contain 100% aloe vera. But when you read the fine print, the aloe content is far less. Not only that, in order to get the gel consistency, a lot of these products are filled with nasty additives such as Triethanolamine and carrageenan. Therefore, we set out on a mission to erase all the wrongs in the aloe world – and ultimately, we discovered the absolute best aloe vera gel out there. Not only did we discover the best aloe vera gel, we discovered three a-maz-ing gels. So, what factors were involved on our quest to find the best aloe vera gel? There were several factors that were crucial to our decision. First of all, a high content of aloe vera was a must. Nothing less than 99% would satisfy us. Secondly, we looked for ingredients that were 100% organic and 100% chemical free. Not just according to the label either. We dug deep to find out if the ingredients really did match the advertising. Lastly, we scoped out aloe vera that didn’t contain carrageenan. If you don’t know what carrageenan is, it is a food additive derived from seaweed. This natural additive has been known to be destructive to the digestive system. And unfortunately, a lot of Aloe Vera Gels carry this filler. So, without further ado…the following aloe vera gels are the closest you will get to finding an aloe vera plant in a bottle. This cold-pressed aloe vera gel is so natural, your plants will be jealous. Seven Minerals offers a generous 99.75% of certified organic aloe vera. 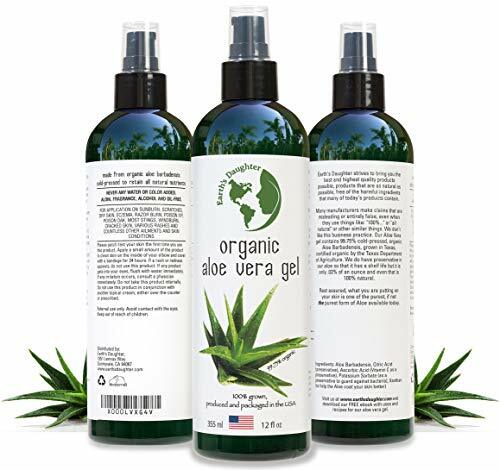 And because you can’t create an aloe vera gel without some additives, this company was kind enough to leave out the harmful fillers that a lot of other company’s turn a blind eye to. Therefore, this cold-pressed formula also contains seaweed extract, citric acid, ascorbic acid (vitamin C) and potassium sorbate. And thankfully, there is no trace of carrageenan. The consistency of the Seven Minerals Aloe Vera Gel is best described as not too thin and not too thick – it’s somewhere in between. As a result, this translucent gel goes on smoothly and absorbs rather quickly. As an added bonus, the gel is neither sticky nor slimy and more reminiscent of what you will find straight out of the aloe vera plant. For those with sensitivities, you’ll be pleased to know that this gel is fragrance free and suitable for sensitive skin. However, be sure to test it out first – just to be safe. This particular gel was another great find. Earth’s Daughter Aloe Vera Gel is made from 100% natural ingredients, 99.75% of that being organic aloe vera. The other .03% of this gel contains citric acid, ascorbic acid, potassium sorbate and xanthan. Although the content is small, xanthan can be an issue for some people. 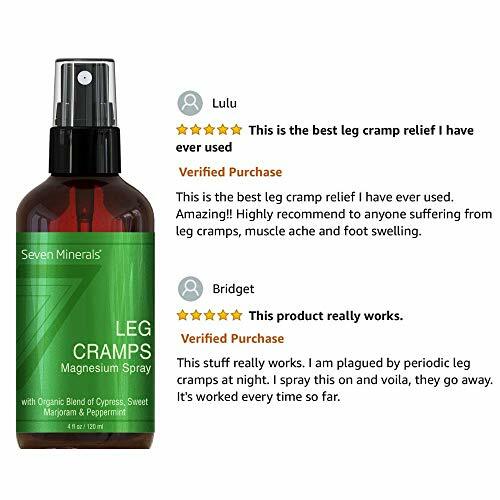 If that’s the case, Seven Minerals Aloe Vera Gel would be a better option for you. The consistency of Earth’s Daughter is a bit on the thinner side and best described as a watery gel. Therefore, it absorbs quickly and doesn’t leave a sticky or oily residue. Also, this aloe is fragrance free which will leave you with the natural aloe scent. The final product that made our “Best Aloe Vera Gel in the World” list is this artisanal beauty. 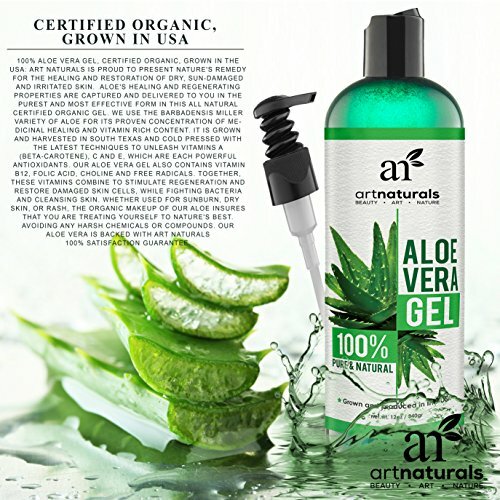 ArtNaturals’ cold-pressed aloe vera gel is 100% organic and 99.75% aloe. Upon further investigation, we confirmed the rest of the ingredients to be completely natural- citric acid, ascorbic acid, potassium sorbate and xanthan. The consistency of this particular gel feels like you broke open an aloe vera leaf and smeared it all over your hands. Therefore, it’s more liquid-y than gell-y. The ArtNaturals Aloe Vera Gel does not feel sticky and absorbs almost instantly. As with the other Best Aloe Vera Gels, this gel smells of authentic aloe vera. It is also suitable for those with sensitivities. You really can’t get more authentic than these three gels that made our list. They’re all made with the highest quality ingredients. If you’re having trouble deciding which one to purchase, go with the label you like better 🙂 They’re all equally as effective, healing and moisturizing. Furthermore, they contain none of that harmful stuff you see in many other aloe vera gels.